The Cengkareng control tower lost contact with the JT-610 flight at 05.46 this morning, about 13 minutes after take-off. On the flight there was also a small child, two newborns, two pilots and 5 flight attendants. The plane had had a technical problem on a previous flight, but all had been solved according to the procedure. 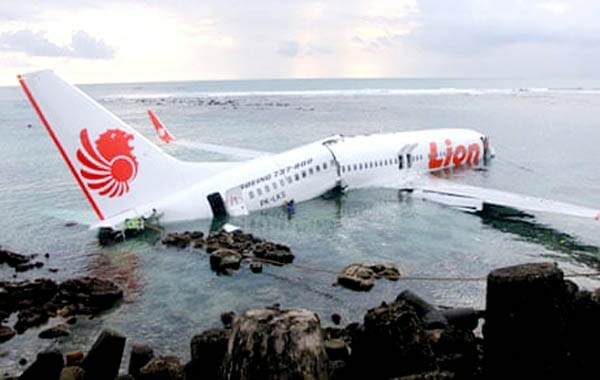 Jakarta (AsiaNews) - A Lion Air flight with 189 people on board plunged into the sea off the island of Java, shortly after taking off from the Cengkareng airport of Jakarta to Pangkal Pinang on the island of Bangka. The authorities have found the remains of the aircraft in the waters of Tanjung, miles from the beach of Karawang (West Java), about 60 km east of the capital. The cause of the accident are still unknown. Sindu Rahayu, a civil servant of the Ministry of Transportation, said the Cengkareng control tower had lost contact with the JT-610 flight at 05.46 this morning, about 13 minutes after takeoff. Once they had identified the crash site, the National Rescue Agency (Basarnas) sent its officials to conduct rescue operations. Operators recovered human remains, personal belongings of passengers and scrap from the plane. From the nearby oil platform of the state company Pertamina, several tugboats and rescue boats have departed to support the efforts of Basarnas. Soerjanto Tjahjono, head of the National Committee for Transport Safety (Knkt), said that on the flight there were also a small child, two newborns, two pilots and 5 flight attendants. There are about 20 officials from the Ministry of Finance on the list of passengers. Edward Sirait, chief executive of the Lion Air Group, reveals that the plane had had a technical problem on a previous flight, but all had been solved according to the procedure. The airline adds that the aircraft had only been operational since August and that the pilot and the co-pilot had accumulated 11 thousand flight hours.